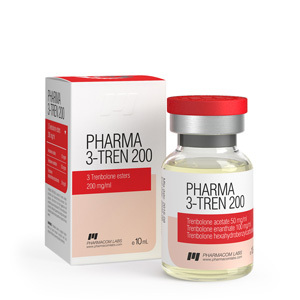 Pharma 3 Tren 200 mg is a powerful anabolic and androgenic steroid based on a mixture of trenbolone esters. The mix consists of acetate, hexahydrobenzyl carbonate and enanthate, provides a long-term flow of the active substance into the blood along with a synergistic effect. The course takes place without recessions, the activity of the substance – about 14 days. The chemical structure of trenbolone is a 19-nor derivative of testosterone. Anabolic activity – 500%, androgenic – 400%, the time of detection at the doping control is up to 5 months. Ensuring hormonal balance on the course (equal hormonal levels for 7–10 days after injection). Increase muscle mass. Pharma-3-Tren solo course lasting one and a half to two months makes it possible to gain up to 10 kilograms of muscle mass. Stimulation of insulin-like growth factor. Suppression of catabolic processes (reduction of cortisol). Pharma 3 Tren 200 course is recommended for experienced athletes. Injections are performed 1 time per week, the average dosage is 300-4000 milligrams. For optimal concentration, you can increase the number of injections to 2 per week, but not more often. Gonadotropin is used to prevent the pronounced suppression of your own testosterone production. As PCT – Clomid or Toremifen. 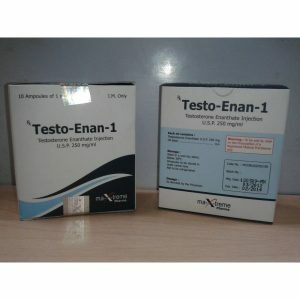 Regarding how to take Pharma 3 Tren in combination with other anabolic and androgenic steroids, professionals often include Sustanon (500 milligrams per week), and tableted stanozolol or testosterone propionate at the end of the course. You can minimize side reactions with Proviron. 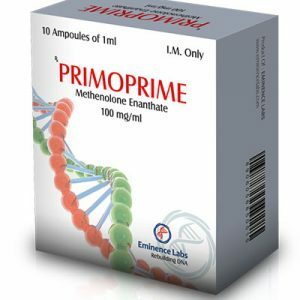 Most often, reviews about Pharma 3 Tren 200 from Pharmacom Labs are left to athletes with extensive experience in receiving AAS. They already know all the nuances of using steroids, and do not recommend neglecting PCT or other pharmacology aimed at compensating and preventing side effects. Almost all users who exceeded the permissible dosage of trenbolone, faced with one or several adverse reactions. Reviews of Pharma 3 Tren talk about the ability of steroids to quickly build muscle mass and strength. Athletes note non-toxicity to the liver and the absence of estrogenic manifestations. A mixture of trenbolone esters is not recommended for beginners: it is better to start using AAS with safer steroids.